A couple weeks ago, I wrote a strategic guide to mulliganing with Colorless Eldrazi Stompy, a deck I’ve championed on Modern Nexus for almost two years now. Today’s follow-up piece focuses on the deck’s second-most-challenging (and important) aspect: sideboarding. I’ve been testing a couple of changes to the sideboard recently, cutting All Is Dust and Grafdigger’s Cage for additional copies of Surgical Extraction and Pithing Needle. As we’ll see in the next section, there are multiple ways to construct the sideboard, although the bulk of our 15 is locked in. But before deciding on a sideboard configuration, players should tune their mainboard for the decks they want to beat. Colorless Eldrazi Stompy has five flex spots. In my build, they’re currently occupied by 2 Matter Reshaper, 2 Endless One, and 1 Smuggler’s Copter. Before we jump into sideboarding, let’s cover the merits of each option. Matter Reshaper: Ideal against highly interactive decks (Jeskai, Shadow), and combat-focused ones that don’t love sitting across from a three-power creature (Zoo, Humans). Lackluster against any deck that plans to ignore it (Storm, Tron, RG Valakut). Endless One: One shines in matchups that demand a lot of pressure very quickly. In those, it’s servicable as an additional two-power creature on turn one, but truly excels alongside Eldrazi Mimic itself. The X-costed Eldrazi plugs whatever hole in the curve we need filled to ensure we can continuously apply pressure. Its glaring weakness is Fatal Push, but One’s still acceptable against midrange decks thanks to its potentially huge size. Smuggler’s Copter: Looting past dead cards is powerful enough in this deck that opponents basically have to deal with Copter if possible. That makes the Vehicle a Splinter Twin–style tempo play that forces interactive opponents to keep up mana each turn, lest we crew our two-mana consistency engine. It’s naturally great against decks that skimp on removal, too, and useful for flying over board stalls generated by Tarmogoyf, Gurmag Angler, or Knight of the Reliquary. Copter’s failings become apparent when we fail to find a pilot (rare) or when opponents load up on small removal like Bolt and Push (less rare). The card is also awful in multiples, as we can sometimes draw two Copters and no pilot, and we struggle to consistently crew a pair of them. These days I’d advocate for a single Copter in the main in all but the Jundiest of metagames, and advise players to carefully weigh their Reshaper/One split based on the anticipated field. An open metagame calls for a 2/2 split, although I can understand the argument that Modern’s variety rewards us for ramping up on proactivity (which would favor Endless One). Still, Reshaper is so nasty against removal spells that I’d be hard-pressed not to include some amount in most of my future lists. The only other cards I’d consider for flex spots are sideboard options, namely Spatial Contortion and Ratchet Bomb. Both of these picks are highly metagame dependent. As for Relic of Progenitus, I think if you want to run that main at all, it should be at 4, with Chalice of the Void relegated to the sideboard and Simian Spirit Guide replaced by other flex spot options, including one Ghostfire Blade. Colorless Eldrazi Stompy’s sideboard can be neatly divided into three categories: spot removal, grave hate, and utility. Understanding each component and its uses is critical to success with the deck. Our sideboard removal package compliments Dismember (or flat-out replaces it against Burn and Jeskai Tempo) to give us ample ways to stomp combos, blow out blocks, and neuter aggression. Boarding in the full removal suite turns us into a Jund-style midrange deck, which is exactly where we want to be in certain matchups. Spatial Contortion is our most flexible removal spell, as it’s got Bolt’s admirable coverage and doubles as Lava Spike while swinging with a large creature. Gut Shot‘s best at pinging Dark Confidant, mana dorks, and infect creatures; All Is Dust is an option to combat value-centric Collected Company decks and random stuff like Pillow Fort. Our baseline grave hate package is 4 Relic of Progenitus, which also serve a unique function with Eternal Scourge. Combined, these cards allow us to “go Dredge” and essentially prevent midrange decks from ever grinding us out. Relic then replaces Bant or Tron’s pricey curve-toppers like Drowner of Hope and Karn Liberated when it comes to going over fair decks, in addition to its traditional applications as graveyard hate. Joining Relic is Surgical Extraction, another card that’s nutty with Scourge (becoming a zero-mana “draw 4” once opponents manage to deal with one) and particularly effective against graveyard-based combo cards such as Past in Flames, Kitchen Finks, and Goryo’s Vengeance. The floor is so high on a single Surgical that I’d never dip below one, although the second can theoretically rot in hand once all our Scourges have been exiled. And rounding out the suite is Grafdigger’s Cage, a card that provides incidental grave hate while actually owing its inclusion to Chord of Calling and Collected Company. As we’ll see, our Counters Company matchup needs no help, but Knight of the Reliquary still annoys us out of the fringe Bant builds. The top dogs as far as utility goes are Ratchet Bomb, which sweeps away wide fields and kills problematic permanents, and Pithing Needle (alternatively, the slower-and-steadier Sorcerous Spyglass), which prevents combos and turns off planeswalkers. Beyond these, a wealth of cards can be ran in utility slots. Listed are those I’ve found passable for certain fields. This guide covers all nine Tier 1 decks according to Modern Nexus’s November metagame update, in descending order of popularity. There may of course be superior plans to the ones I propose here, but know that these are the best I’ve found so far, and that each has served me well. Given some lucky scouting, we can cheese Affinity in Game 1 with a Chalice on 0; otherwise, pre-board Cranial Plating presents an uphill battle. We become favored post-board, when we have plenty of removal to break up their synergies. I like Chalice regardless of play or draw as on 0 it shuts off a large portion of their deck, and in multiples, another on 1 gives Affinity even more dead draws. Since we’re counting on one-for-oneing the threats that do stick and playing a tempo game, blanking some number of opposing draw steps comes in handy. Smasher turns the corner pretty well, and helps us steal Dismember-fueled Game 1 victories. But after siding, we’re more interested in beating down with little guys while disrupting. Powders help us get to those interaction-heavy hands while dumping Scourges into exile, helping us go lower looking for hate without giving up our pressure. Burn is already quite easy to beat thanks to Chalice of the Void and Thought-Knot Seer. Our many three-drops wall Burn’s threats, and Simian Spirit Guide accelerates us into broken openings. Destructive Revelry comes in from their sideboard, but our combat plan will often race them anyway. On that note, it’s usually correct to aggressively mull for Temple post-board, and to curve threats into Thought-Knot before slamming Chalice when possible. Ratchet Bomb is an admittedly weak bring-in, but it beats out Smuggler’s Copter and Dismember. To its credit, Bomb helps defeat Burn hands featuring multiple one-drops and provides an out to the stray Ensnaring Bridge. Humans is a lot like Affinity: tough to beat Game 1, and much easier post-board. Their Game 1s are a little worse than Affinity’s (no Cranial Plating) and their post-board game is a little better (thanks in large part to Reflector Mage). A key difference is we can remove Affinity’s creatures before they have the opportunity to generate value, but Humans’s creatures cast spells when they enter the battlefield. Additionally, Chalice of the Void blows against this deck thanks to Aether Vial and Cavern of Souls. Reshaper is something of a double-edged sword here; while it’s likely to trade with some of Humans’s creatures to our benefit, the first-striking Thalias both eat it in combat. The strong Gx Tron matchup is one reason to play Colorless Eldrazi Stompy, but the midrange-slanted Eldrazi Tron gives us problems. Alas, the “go Dredge” plan generally reserved for midrange is of little value against one that still tops out with colorless planeswalkers and Batterskull. Eldrazi Tron forces us to take a hyper-aggressive role, Powdering into hands with Mimic and Seer and throwing Ghost Quarters on draw steps. Needle effects and Ratchet Bomb are crucial for dealing with Walking Ballista, quietly the deck’s strongest card in the matchup—it guns down Mimic and our manlands and keeps Scourge clean off the table. Contortion removes those pesky Reshapers, pushes through damage, and helps kill big Eldrazi in a pinch. While Counters Company walks all over Eldrazi Tron, our many removal spells ensure we have a great time against the deck. Relic gives us an endless supply of threats while negating Kitchen Finks and Eternal Witness, Needle proactively attacks whatever combo opponents seem to be assembling, and Bomb gives us a functional board wipe. Another good matchup Colorless Eldrazi Stompy has over Eldrazi Tron, Storm simply can’t keep up with our combination of pressure and disruption. Between Guide to pop Relic and the phyrexian-costed Surgical Extraction, we threaten many ways to interact with their combo while tapped out. Guide’s other uses include rushing out Thought-Knots and Chalice for 2, our preferred number here. We keep Dismember for the mana bears, and Ratchet Bomb gives us an elegant answer to Empty the Warrens. Bomb should be sandbagged in hand until opponents go for some Goblins. This matchup only gets tricky when opponents slam us with multiple Geists. Otherwise, it’s trivial to wall just one. Bomb comes down proactively to start ticking up to three, since Geist is the only shot this deck has at beating us; Ghost Quarter takes care of Colonnade, Chalice on 1 shuts off most of their burn, and Relic again plays double-duty, invalidating their attrition plan with Scourge while nerfing Snapcaster Mage and Logic Knot. Dismember‘s a little too costly to keep in at 4, but joins Contortion as a way to snipe Spell Quellers. Relic already hinders Snap, so we don’t need the second Surgical as much. Powder can also be cut for more threats to hedge against Stony Silence. This matchup can really go either way. Sometimes we lock them out handily with a fast Chalice or Relic, and sometimes they strip our good cards, By Force our disruption, and control the field with a huge Shadow. Interestingly, our disruption combines to completely lock down their threat base should we set them up fast enough: Chalice prevents them from casting Shadow (and Bomb keeps it off the table), while Relic prevents them from casting delve threats (with resolved ones handled by Dismember). Grixis Shadow never grinds us out thanks to Eternal Scourge, which here serves as both recurring attacker and chump blocker extraordinaire. I’d say this matchup is better for us than it is for Shadow, but it’s tight enough that I’d call it medium. Some games are close and many end up wildly favoring one player or the other. Our plan against Valakut is to race them, which is often a bleak proposition. Thought-Knot Seer‘s our best spell, closely followed by Eldrazi Mimic; our priority while mulliganing is to find an opener with Eldrazi Temple and one or both of those cards, which puts a lot of strain on our hands. Matter Reshaper almost never triggers here, but we keep him just for the body. Similarly, Gut Shot comes in to remove Sakura-Tribe Elder (a task also regularly executed by Dismember). Sometimes, we can cheese victories against the deck. Chalice for 2 locks Valakut out of ramping should we land it early enough, and for 0 stops Summoner’s Pact. And Surgical Extraction pairs with Ghost Quarter to remove Valakut itself (or with some removal spells to exile all the Titans). We shouldn’t count on these scenarios occurring, but one key to navigating this matchup is to always look for windows to make a blowout play. I’ve been asked numerous times for entry-level strategic content on this deck, and am happy to have finally written some. Between the mulligan guide and this sideboarding guide, players picking up Colorless Eldrazi Stompy for the new year should have plenty to work with to get started on the deck. Good luck to those of you who do, and be sure to let me know how it goes! 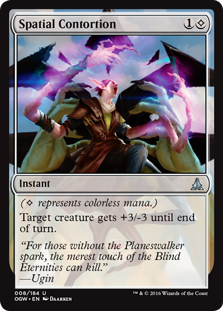 Read Part 3 of this article series, “Colorless Eldrazi Stompy Mini-Primer: Play Tips,” here. Moon is quite bad against us. Just picked up this deck on mtgo…it is a blast. Using serum powder feels so freaking good. Coming from Eldrazi Tron I am really liking this since my favorite colorless creatures have been treating me so poorly recently with all the storm I have been facing. How do you use surgical? I have been enjoying this deck so far, but am not too sure what its exact purpose it for. It makes sense against valakut and storm, but I don’t see why you board it in in the other matchups. Also, if I’m facing a lot of lantern, what should be replaced for endbringer? or is there a better card against lantern? You can Surgical your own Scourges to “draw 4.” Except you’re not just drawing four blind cards, you’re drawing some of the four best cards in your deck vs removal-heavy opponents. That’s why the card comes in against opponents heavy on removal who are likely to have ways to put Scourge into the graveyard after siding (Lili; Logic Knot; Verdict; etc.). It also has applications against Traverse, Snapcaster, Last Hope, K-Command, etc. I wouldn’t board it in against decks where it can never hit anything in their graveyard to break even on cards, but it still comes in against decks with only a few targets that are also able to interact with Scourge. And yeah, great vs Lantern, Storm, Dredge as you mentioned and fine vs combo decks like Valakut. Thanks for the reply! When boarding in needle/relic but keeping chalice in the deck? Are you just hoping you get to draw and cast a relic/needle before you drop a chalice? Against Affinity Chalice is for 0 and then 1 anyway so it doesn’t clash with Needle. Against PW decks with lots of one-drops (basically just UWx Control) the Chalice on 1 will stop them enough if it sticks and Needle can then be slammed as back-up should Chalice be removed. How would you side against the Vizier Druid decks? I was thining needle for walking ballista, spatial contortions and possibly ratchet bomb. Not sure how good chalice is against them. Assuming you mean Counters Company, I laid out a detailed plan in the article. My apologies, I must have forgotten that part. Do you have any recorded gameplay of you playing the deck? I think it would be very beneficial to watch a seasoned pilot. Nope, but plenty of written content; check the related tags at the bottom of the article. How do you sideboard against G/x tron? My local meta is full of G/x tron, humans, storm and random decks like ponza, elves, burn and graveyard decks but definitely an overabundance of tron and humans. What are some recommended sb cards? Also, I wanted to ask when you’d want a Ghostfire Blade in the side? How do you side against UR kiki moon and UR breach moon. I feel like those decks have been quite popular as of lately, and I’m having trouble against them. They have a lot of ways to out tempo me, and I’m guessing it is just my lack of experience with the deck and match up, but I’ve gotten 0-6 so far. Any tips? Haha, you’ll have to figure that one out yourself. But here’s a couple hints: the Kiki matchup is good and they won’t win through a removal spell! TTB, on the other hand, is a card we really just don’t beat. Congrats for winning the SCG Modern Classic Worcester. Can we expect an update to your article on sideboarding? I am curious how you sideboard against decks like Mardu Pyromancer, B/R Hallow One, R/G Eldrazi & Zoo. What’s the reason for 0 cavern of souls? How do you consider the jund matchup or BGx by extension ? And how do you sideboard against ? Thank you, cheers from France. We’re favored. A Jund pilot smart to us will probably win Game 1, which is fixable with an extra Grounds over Sea Gate #2. Post-board it’s a major slog for them. Their best card is Last Hope for keeping Scourge off the table. From my Worcester list, cut Chalice, Mimic, Guide; bring in everything but three Bombs. Hey Jordan, I am looking for a coach while piloting this deck. I really love the deck and just want to get better. Do you offer any coaching? If so what would be the best way to contact you?